Financial and grants management are integral to effectively and efficiently utilizing HUD funds to achieve the goals of on-the-ground housing programs across the U.S. 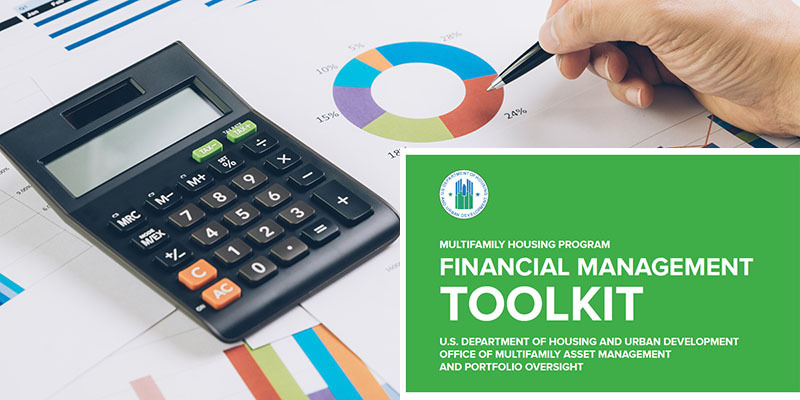 This Multifamily Housing Program (MFHP) Financial Management Toolkit serves as a supplementary reference to assist HUD grantees and their sub-recipients in fulfilling the fiduciary and grants management responsibilities that are detailed in individual contract and grant award documents. This online toolkit is intended to help assure that grantees and sub-recipients are able to safeguard grant funds and ensure that all funds are used for the purposes for which they were awarded. The Toolkit provides straightforward statements of compliance and responsibility, along with references to the underlying rules, regulations and legislation that affect the financial and administrative management of Multifamily Housing grant awards. Wherever possible, we include citations and links to source documents, where you'll be able to find, in many cases, more detailed instructions and references to underlying statutes and examples.